A time for remembering and sharing for Linda Diane View, Albert Lea, will be held from 2:00 P.M. – 4:00 P.M. on Saturday, April 21, at Bonnerup Funeral Service in Albert Lea. 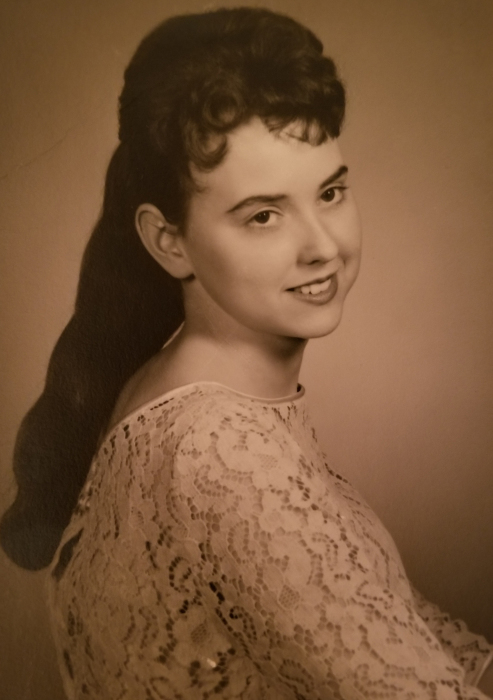 Linda passed away at home on Wednesday, March 14, surrounded by family. She was 73 years old. Linda was born on August 14, 1944, in Austin, MN, the daughter of Francis and Vivian (Palmer) Thompson. She was the second to the youngest of 11 children, and due to her tiny stature, soon gained the nickname “Eeeny” from her family and friends. Linda grew up and attended school in Glenville, MN and graduated in 1963. She was also confirmed the same year, at St. Paul’s Church on the Hill in St. Paul, MN. Soon after she moved to St. Paul, MN she worked as a waitress at Mickey’s Diner, a job she truly enjoyed and did very well. On July 28th, 1965 she was united in marriage to Russel Freeman. Russel had two children from a previous marriage, Linda and Raymond, whom she adored. The couple had two children together, Francis and Ginger, then later divorced in the fall of 1977. On September 8, 1979, Linda was united in marriage to Allen View at the United Methodist Church in Albert Lea. The couple relocated to Minneapolis, MN where they welcomed the birth of their daughter, Jessica. For the next several years Linda was an active mother, homemaker, and helped her husband own and manage several businesses. In 1985, the couple settled in Wells, MN where she delighted in caring for all of her grandchildren. Over the years she worked various jobs and volunteered for family activities at school, church, and in the community. Her hobbies including doting on her grandchildren, playing cards and marbles, frequenting the casino (she won almost every time), crafts, growing beautiful houseplants, and decorating for every holiday. She made lifelong friendships wherever she went and was truly a great friend. She enjoyed helping others and would not hesitate to put others’ needs before her own. Generous to the end, Linda wanted to help people by donating her body to the Medical Science program at the Mayo Clinic, a gracious gift that gives opportunities for learning and directly contributes to the discoveries that help future patients. Those left to cherish Linda’s memory are her loving companion Duane Wessels of Albert Lea, MN, her son Francis Freeman, of Albert Lea, daughters Ginger (Lonnie) Burkhow, of Kiester MN, Jessica View Newhall (Nathan), of Steamboat Springs CO, Stepdaughter Linda Freeman, of Seattle WA, Stepson Raymond Freeman of Rochester, MN; grandchildren Francis A. Freeman (Jin Har), Christian Freeman, Megan (Jeff) Harp, Sadie Burkhow and companion Travis Fiebelkorn, Candice Burkhow, Sean Todd, Shane Todd, Saraya Freeman, step great grandchildren Bryce and Katy Harp and great granddaughter, Lola Burkhow. Sisters; Merna Christenson of Albert Lea MN, Carole Hanson of Albert Lea MN, Sandy Jacobsen of Smithdale MS, brother; Raymond Thompson of Wells MN, sisters-in-law Rena Soper of Albert Lea MN, as well as many loving nieces, nephews, relatives and friends. She was preceded in death by her husband, Allen, her parents, sisters; Mary Faye Thompson, Phyllis Christ, Francine Thompson, brothers; F. Paul Soper, Wilson Soper and Jim Soper.